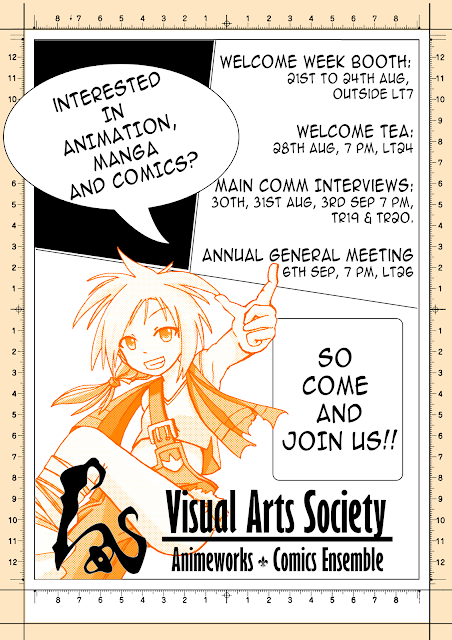 NTU Visual Arts Society News Blog: Gearing up for Welcome Week! Gearing up for Welcome Week! NTU's annual Welcome Week is coming around once again! If you are a freshie, prepare to be dazzled by all the student clubs and societies as they showcase their stuff to bring you into their fold. But Welcome Week only allows us to display a small selection of what we do. To realize the full range of our activities and learn more about us in greater detail, do join us at our Welcome Tea, which will be held on the 28th of August at LT24. PS: Come join us - we have cookies.